From the Heart - Folk Art in Canada. The Canadian Centre for Folk Culture Studies of the National Musem of man. McClelland and Stewart. Copyright National Museum of Canada - 1983. ISBN 0-7710-9022-6. Paperback copy. 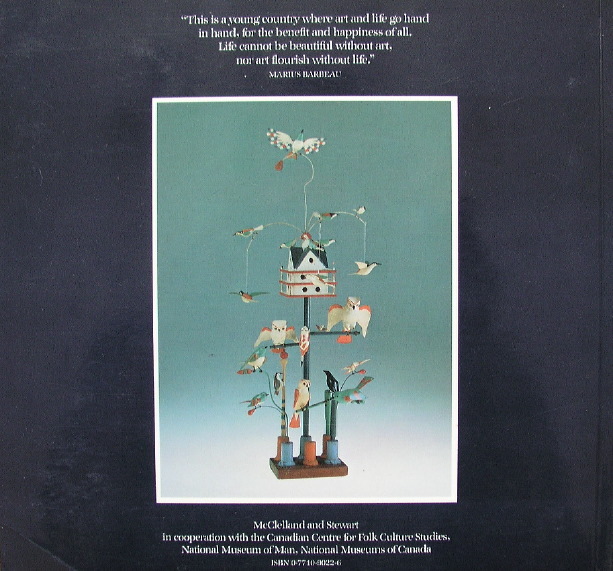 256 page "bible" of Canadian Folk Art. Lots of info and colour plates. Like new copy except back cover has a crease at the bottom corner (hardly noticeable), and some of a paper price tag left on the front. You can see it in the photo. Probably easy to remove with damp cloth.